Arrangements are in place to ensure that the health care needs of the residents are satisfactorily met. All residents are registered with a local General Practitioner. 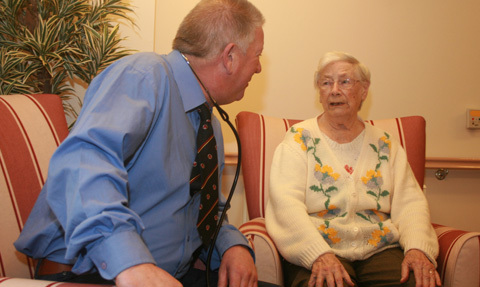 Once a week a clinic is held at the home by a General Practitioner when all residents with a health problem are seen together with any resident who requests to see the doctor. The doctor visits residents in their own rooms to ensure privacy. In order that residents can live their lives at optimum capacity we ensure regular access to ancillary health professionals. Opticians visit regularly with an annual eye test being offered to each resident. A regular chiropody clinic is held. We refer residents to the hospital when hearing aids are required and maintenance of aids is carried out on a regular basis. We have a referral system to the local dentist who is able to treat most problems in house. District nurses provide us with support and advice as required for specialist wound care and palliative care. Occupational therapy, physiotherapy and rehabilitation therapy are all available following a referral from the GP. 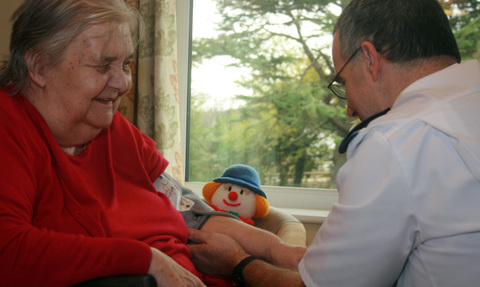 We ensure that all residents attend booked hospital appointments and we arrange for them to be accompanied by a carer.